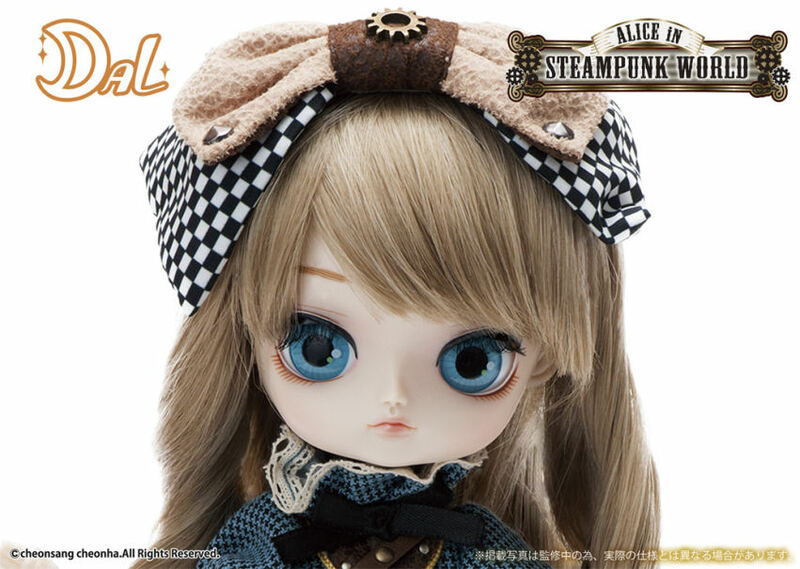 Dal Alice in Steampunk World is the fourth doll released as a part of the Alice in Steampunk World series. 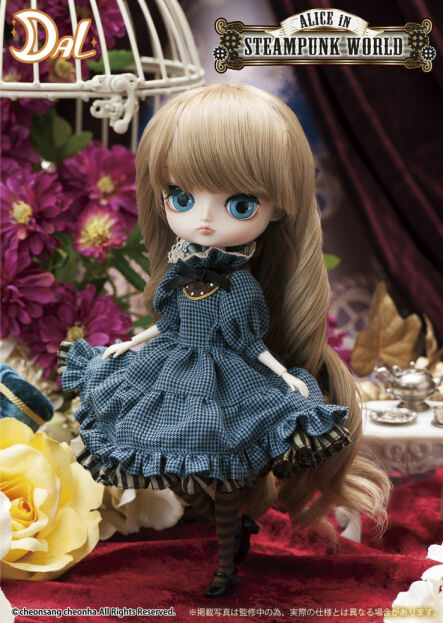 So far she is the only Dal released as a part of the series. 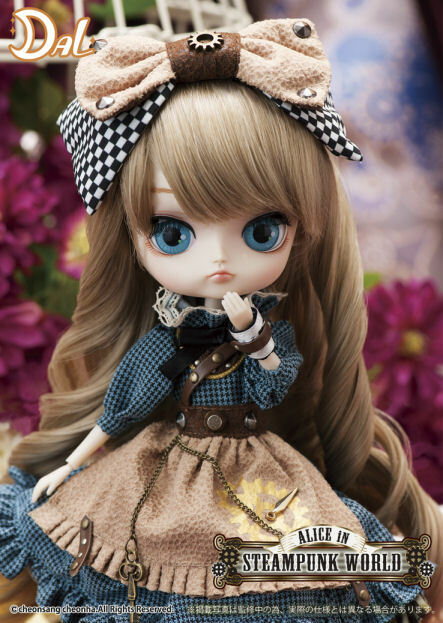 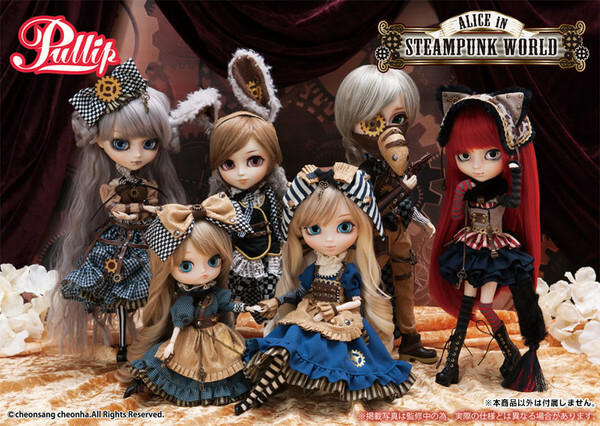 Other dolls in this series include Pullip Alice in Steampunk World, Pullip Mad Hatter in Steampunk World, Isul White Rabbit in Steampunk World, Taeyang Dodo in Steampunk World & Pullip Cheshire Cat in Steampunk World. 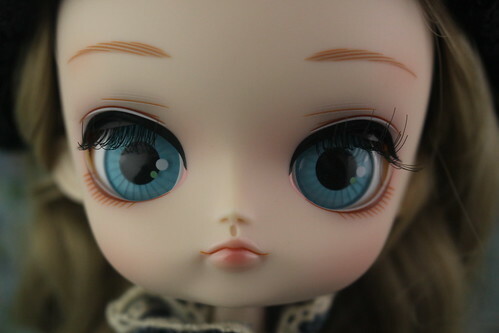 Feel Like So: Day what mysterious today….. To be drowned with my tears…. 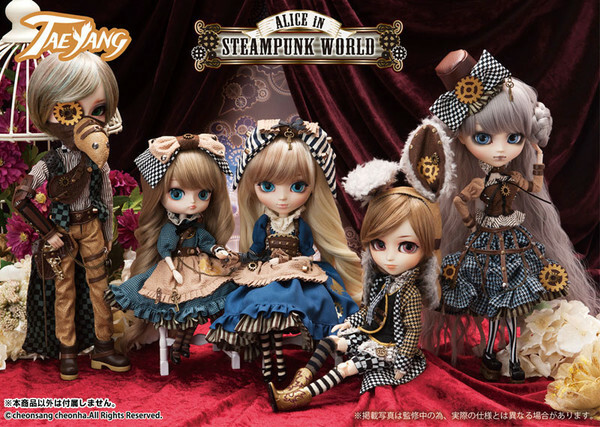 On STEAM locomotive… Because I come back to the original world!! 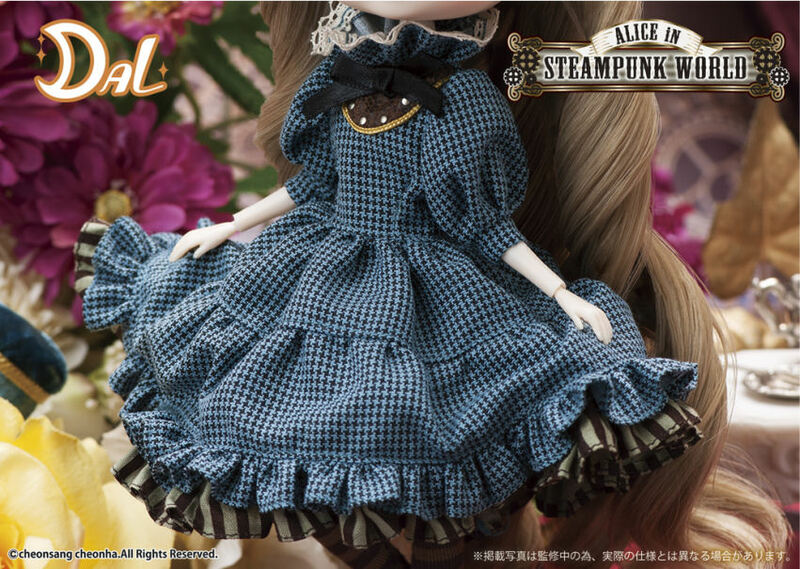 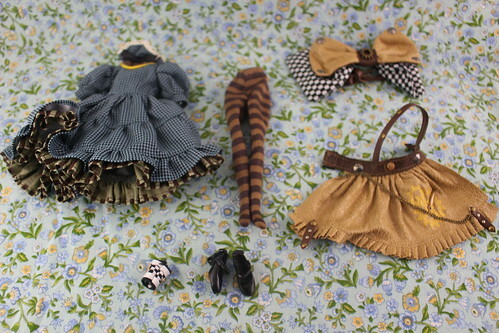 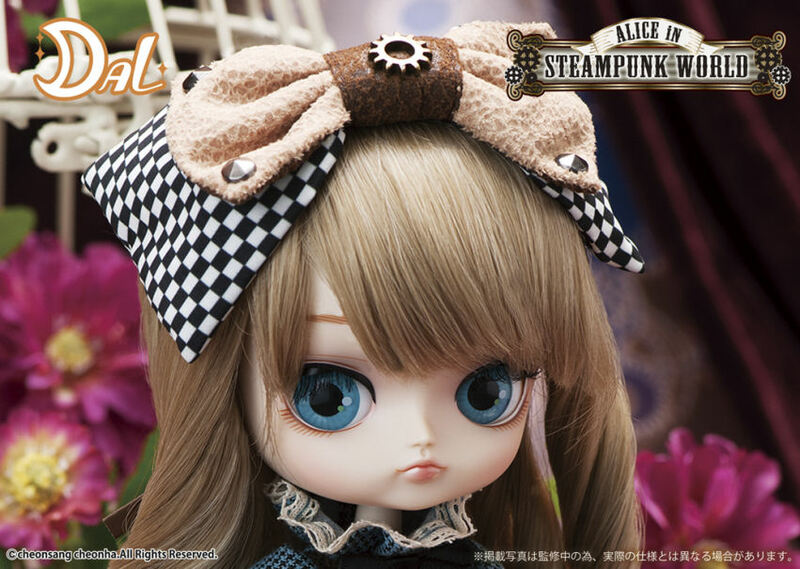 Stock: Dal Alice in Steampunk World’s stock consists of a dress, tights, hair bow, apron & hand accessory. 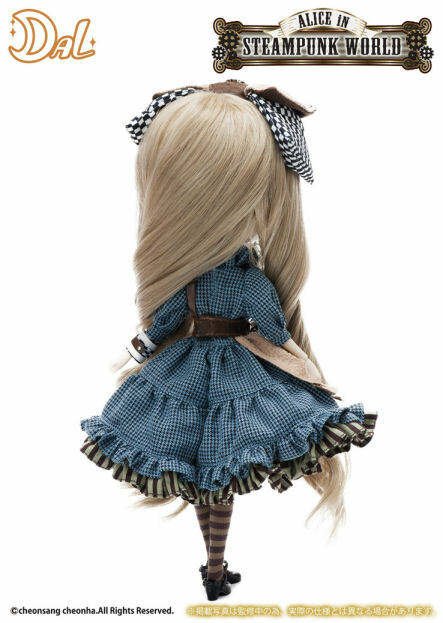 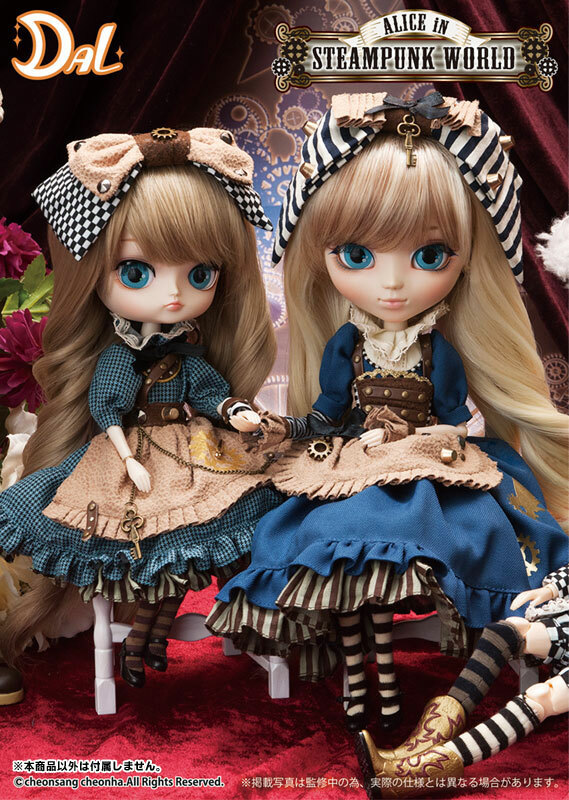 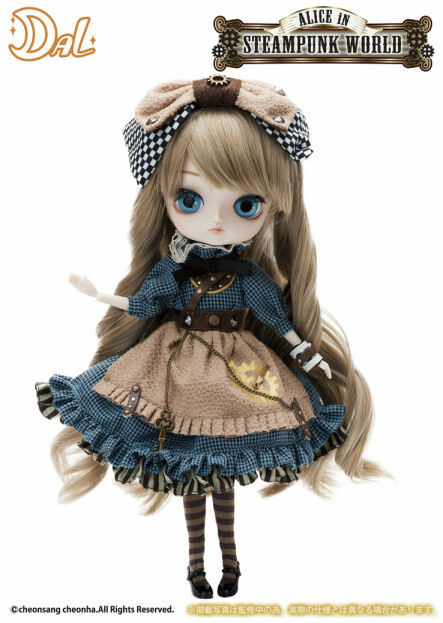 Similar Doll Recommendations: Pullip Alice in Steampunk World, Dal Alice in Steampunk World, Pullip Cheshire Cat in Steampunk World, Taeyang Dodo in Steampunk World and Pullip Mad Hatter in Steampunk World.